Where did my Acoustic & Language Model Optimizer go? 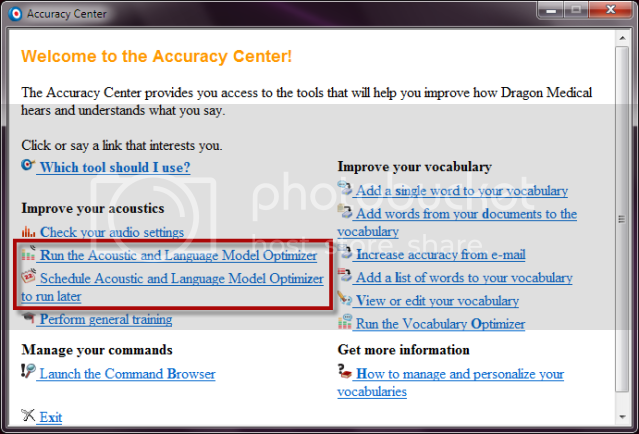 If the Acoustic & Language Model Optimizer disappers from the Accuracy Center in Dragon Medical v10.1, it’s because you have enabled ‘Roaming Users’. Disable Roaming to view the Acoustic & Langugae Model Optimizer. Which EMR & EHRs does Dragon Medical v10.1 work with? Why should I use Dragon Medical v10.1? 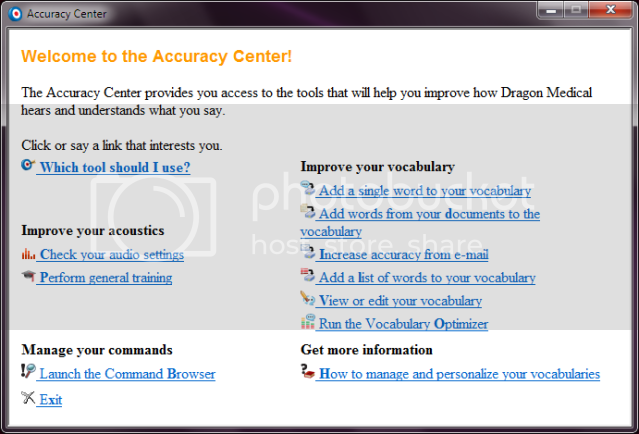 What vocabulary options are available in Dragon Medical Practice Edition V11?